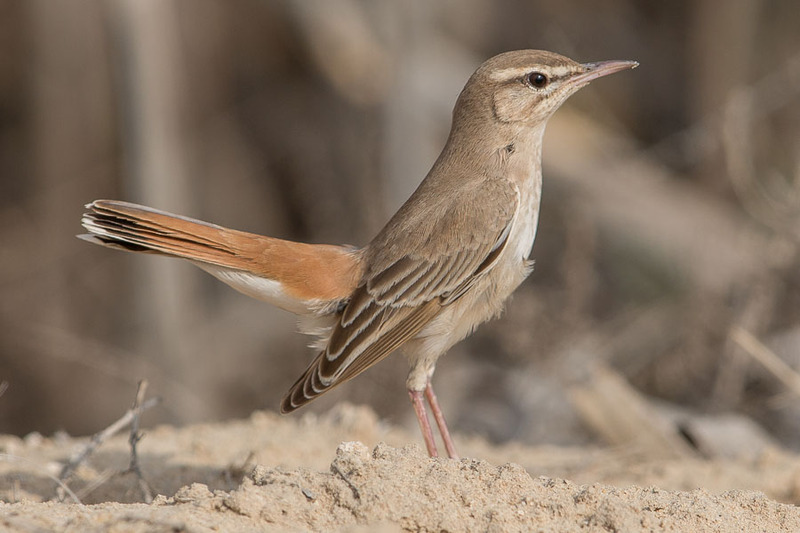 The Rufous-tailed Scrub Robin has two marked subspecies groups with Cercotrichas galactotes galactotes forming one group and C. g. syriacus & C. g. familiaris the other. 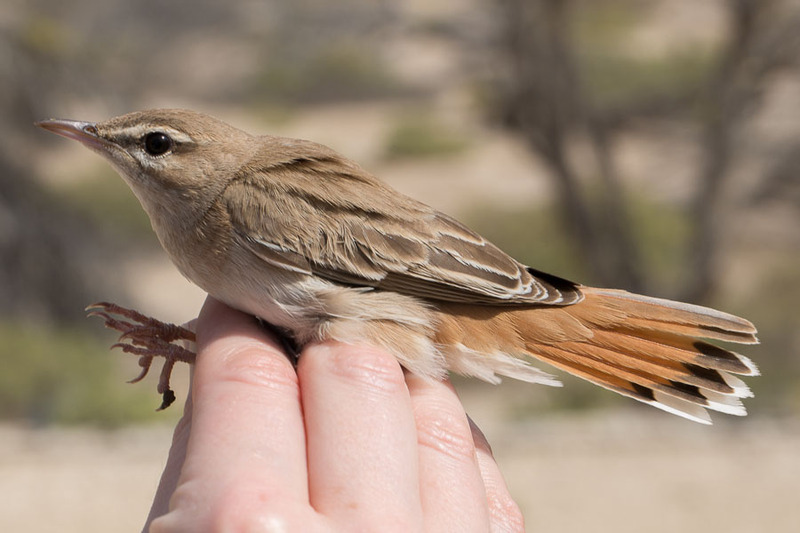 Cercotrichas galactotes galactotes (Temminck, 1820) - south & east Iberia (possibly also southern France), N Africa (south to southern Algeria), Israel and SW Syria; non-breeding Sahel zone of W Africa, has upper-parts pale rufous with very little contrast in tone between crown/mantle and rump/upper-tail. 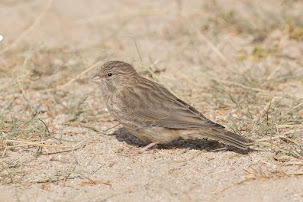 The breast and flanks are buffish or pinkish-cream. 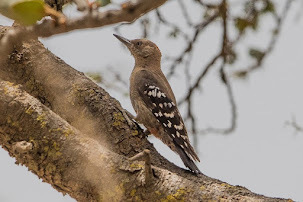 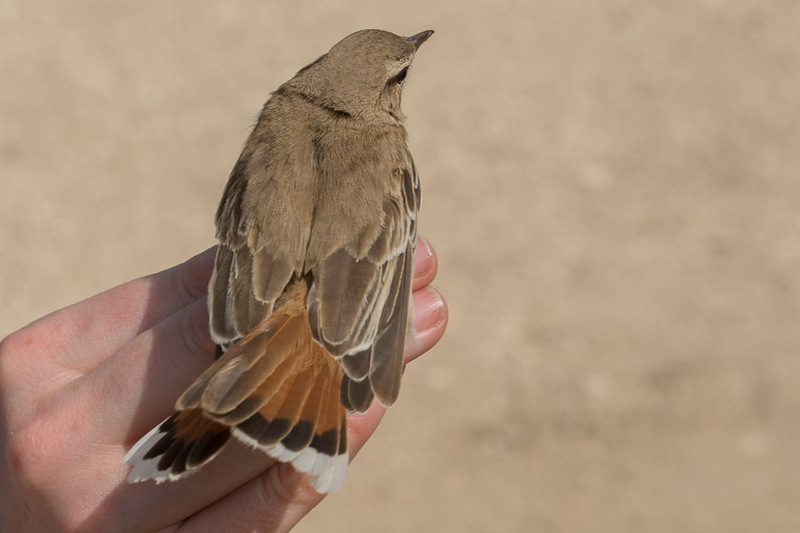 C. g. syriacus (Hemprich & Ehrenberg, 1833) - Balkans east to west & south Turkey, western Syria and Lebanon; non-breeding North-east & East Africa, is darker and colder brown above than nominate with some contrast to brighter rufous rump/upper-tail. 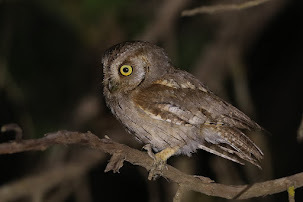 More contrasting head pattern with whiter supercilium and patch below eye, darker eye-stripe and lateral crown stripe. 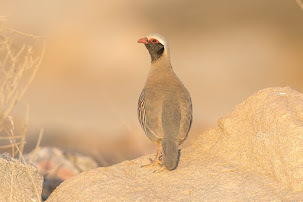 Greyer tinge on breast and flanks. 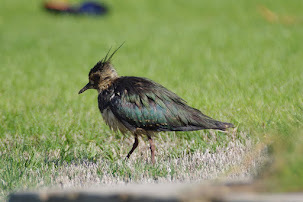 More black and less white on tips of outer tail feathers. 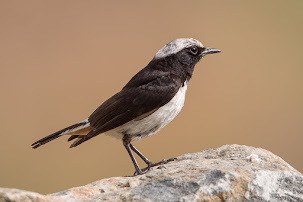 C. g. familiaris (Ménétriés, 1832) - Transcaucasia, south-east Turkey, Iraq and North-east & East Arabia east to southern Kazakhstan, eastern Iran, eastern Afghanistan and western Pakistan; non-breeding North-east Africa, is similar to syriacus but is paler and greyer with marked contrast between greyish crown/mantle and brighter rufous rump/upper tail. 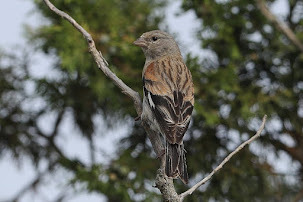 The underparts are an off white. 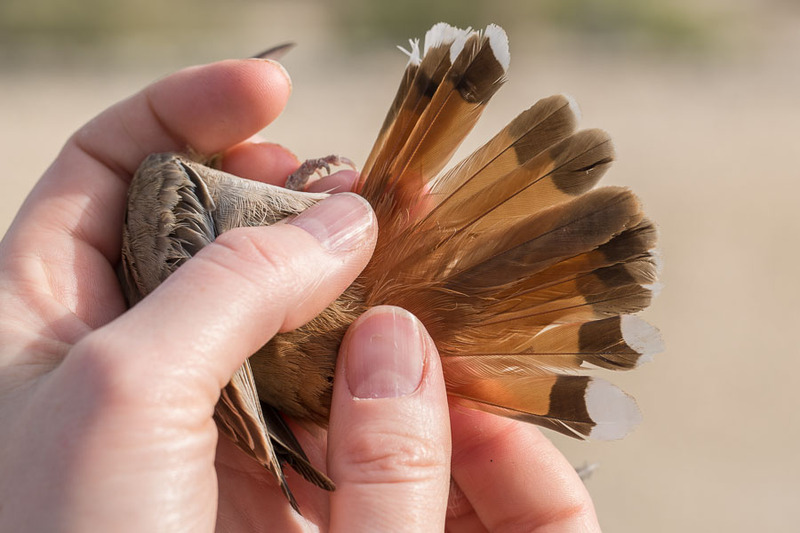 Wing coverts and tertials diffusely edged lighter even in adult. 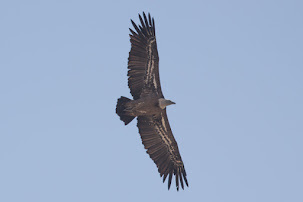 Size and wing-formula much as in syriacus. 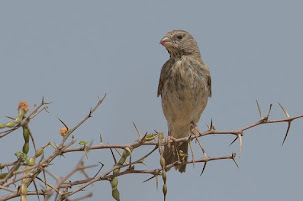 In the west of its range it intergrades into syriacus in western Transcaucasia, south-east Turkey, and probably north-east Turkey and northern Syria. 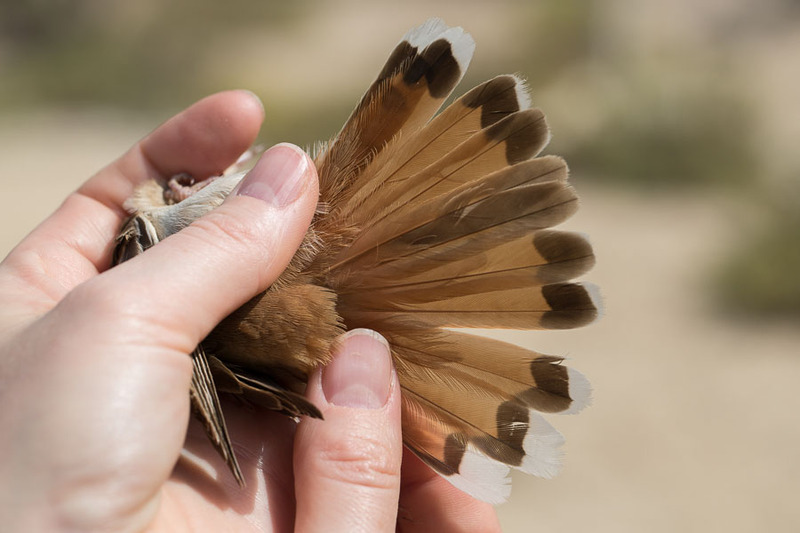 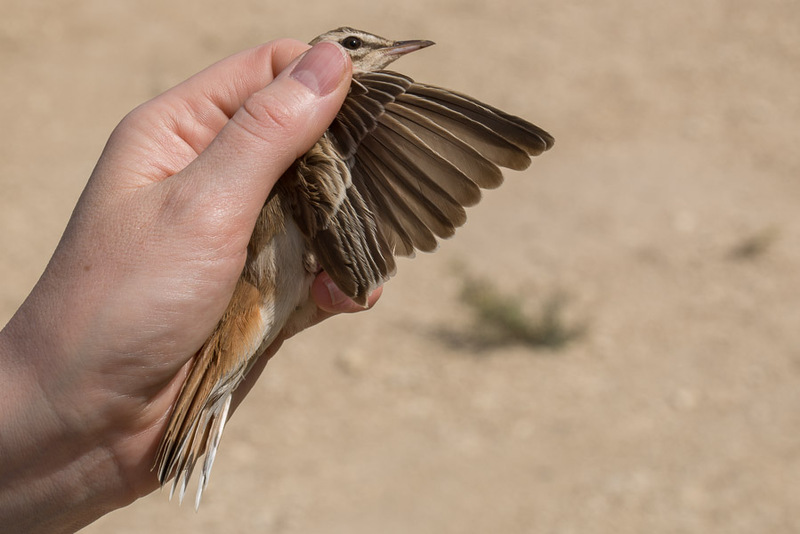 The birds we catch in Bahrain (all photos of birds caught at Jasaer in Bahrain) and see in the Eastern Province of Saudi Arabia differ markedly from nominate galactotes in having grey-brown upperparts and less warmly suffused underparts, with fully rufous and more contrasting rump and tail indicating they are syriacus or familiaris. 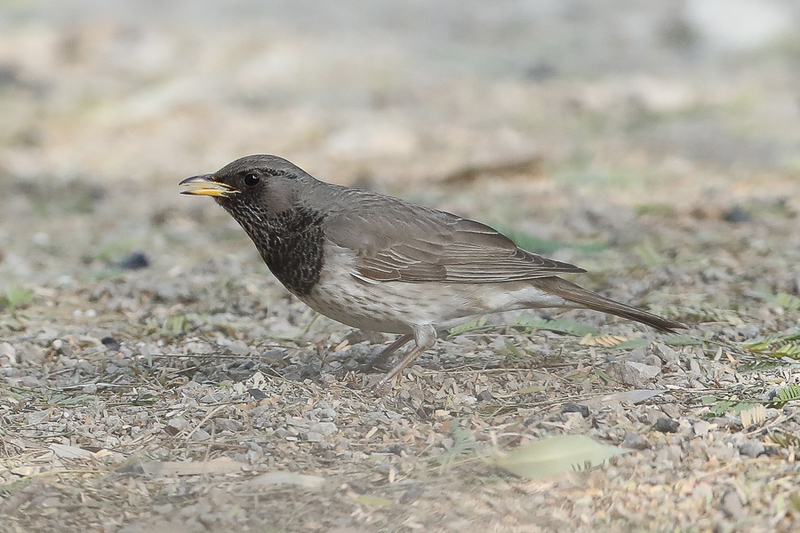 These birds also show a stronger contrast between whiter eye-ring and supercilium and dark stripe on edge of crown and darker eye-stripe and more obviously a deeper black sub-terminal band on the tail. 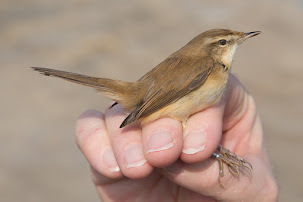 The birds we see and catch have the crown, mantle, and scapulars a slightly paler colour than typical syriacus but appear to be browner rather than grey of typical familiaris. 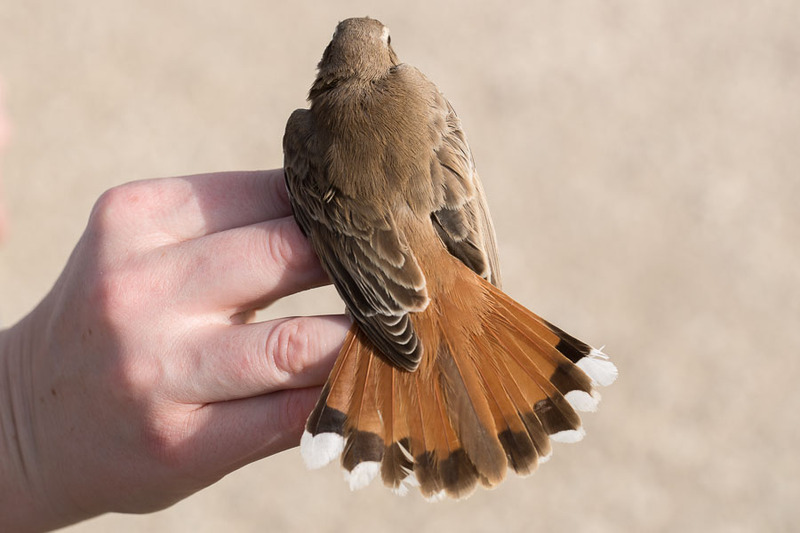 The rufous of the rump and tail are slightly paler than typical syriacus, and the underparts vary in the amount of white from the off-white of syricus to the clean white typical of familiaris. 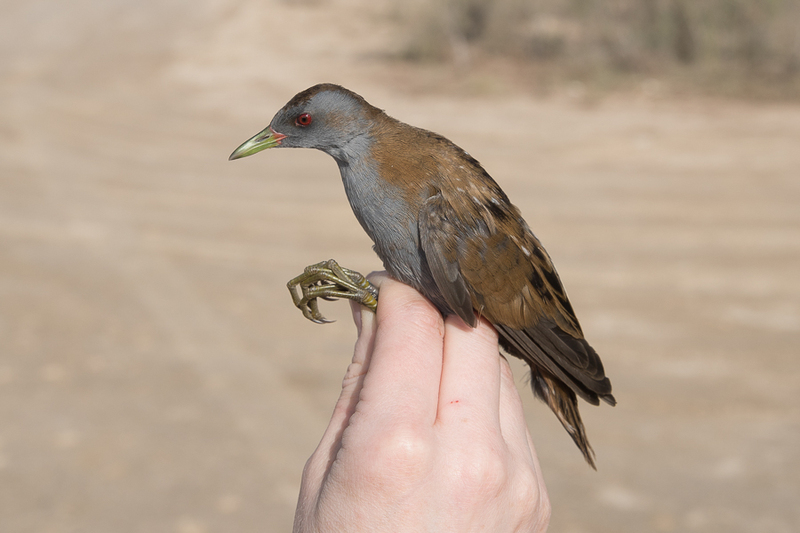 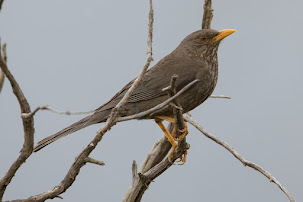 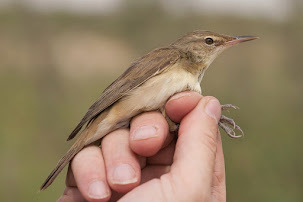 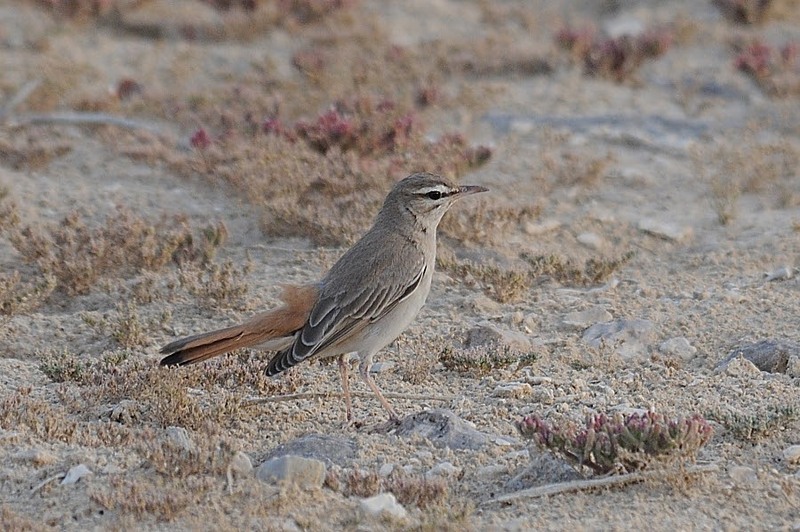 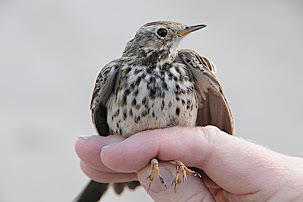 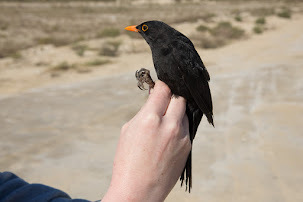 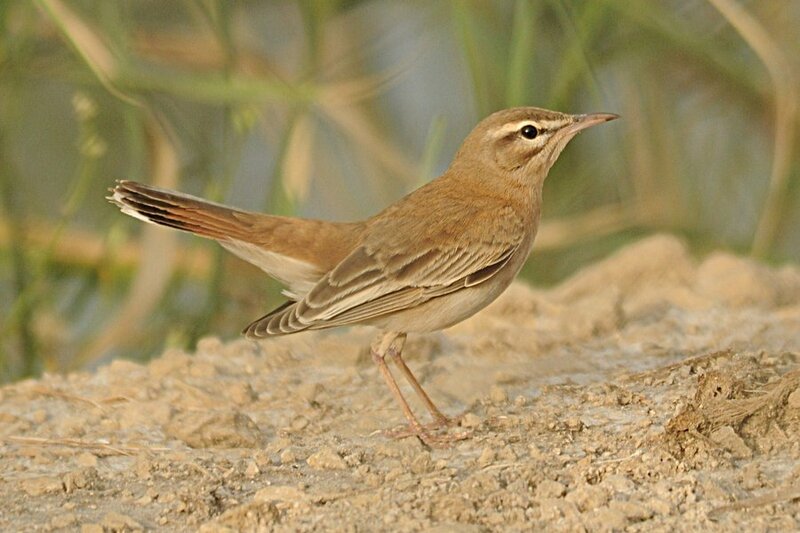 Riply (1951) stated that birds from Bahrain were richer and darker brown than familiaris (nearer syriacus) and smaller with my data showing the birds appear to be intermediate between the two subspecies. 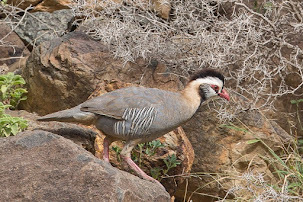 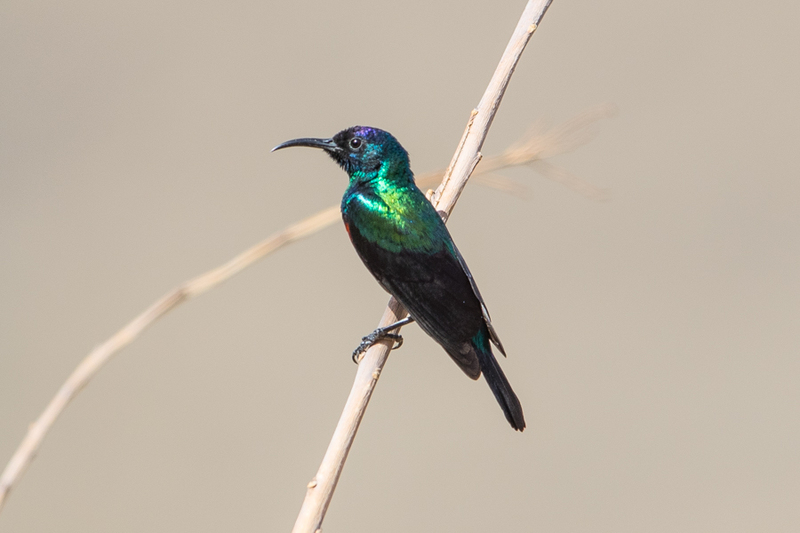 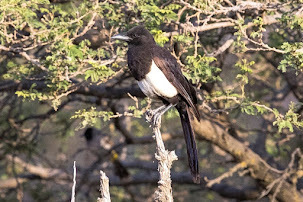 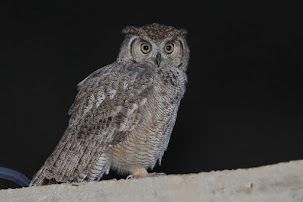 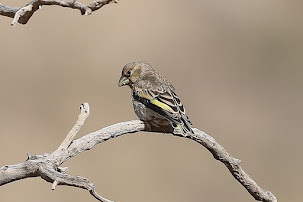 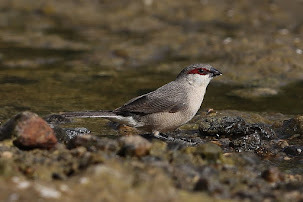 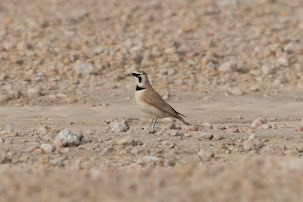 We do get birds that appear more typical of one or other subspecies with warmer brown syriacus type birds and colder grey familiaris like birds – see photographs below taken in Saudi Arabia. 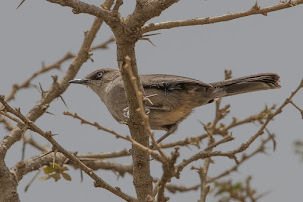 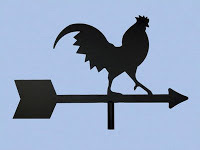 Saudi Arabia probably has both eastern races migrating through the country with syriacus likely to be seen more often in the western parts of the country and familiaris more often in the eastern parts. 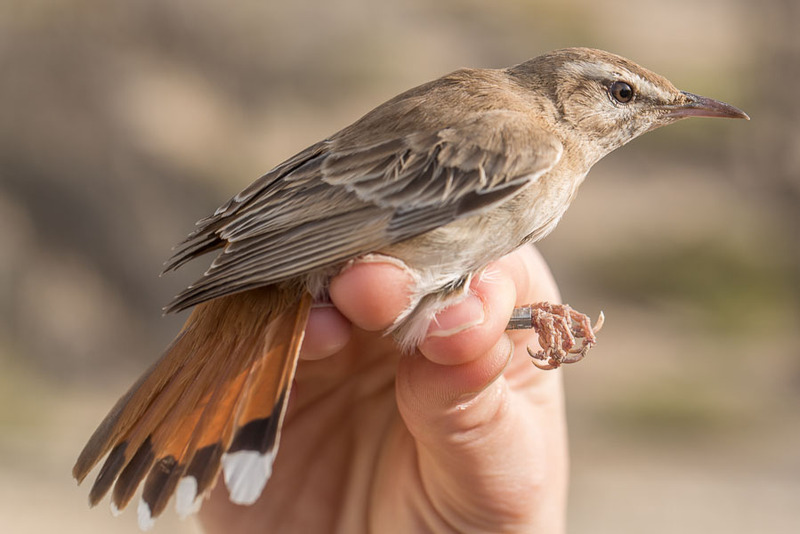 The breeding birds of the east of Saudi Arabia are thought more likely to be familiaris (Jennings 2010 – Atlas of breeding birds of Arabia) but as mentioned above the breeding birds we have caught in Bahrain appear to be intermediate between the two races. 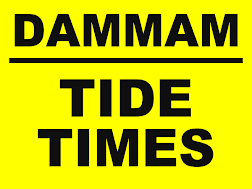 Jem, this is very good work.